On 1 May 2011, the United States announced that it had launched an operation into Pakistan from Afghanistan to apprehend Al-Qaeda leader Osama bin Laden. Bin Laden was killed during the operation, reported to have been conducted by members of the Naval Special Warfare Development Group (DEVGRU; commonly referred to by an older title, Seal Team Six). The Naval Special Warfare operators were reported to have been inserted and/or extracted by elements of the 160th Special Operations Aviation Regiment (Airborne). During the raid, it was reported that one of the force's MH-60 helicopters was damaged and had to be destroyed in place. The remnants of the helicopter were later recovered and moved from the site by the Pakistani military. Subsequent pictures of the wreckage suggested that the helicopter might have in fact been a new type or a highly modified existing type, possibly incorporating stealth technology. 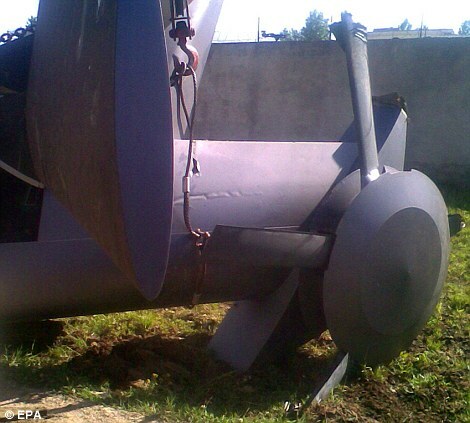 The features on the wrecked tail rotor could also have been for noise reduction purposes. The photographs of the wreckage also suggested a silver infra-red suppressant finish, similar to that used on fixed wing stealth aircraft such as the F-22, had been applied. The U.S. Army and CIA developed what could be considered a stealthy helicopter during the Vietnam War. There, they were primarily interested in reducing the amount of noise that the helicopter generated, and they named the helicopter The Quiet One. Light, quiet and stealthy helicopters could be used for clandestine missions, quick in-and-out assignments without being noticed. A Special Forces A-Team performing an extraction could grab their target, climb a rope, and be extracted by a stealth helicopter. Other stealthy helicopter has focued on reducing detectability by radar and infra-red sensors, including the suppression of hot engine exhaust gases. In the 1980s, Hughes and other American aircraft manufacturers investigated concepts for the construction of radar-evading "Stealth" helicopters. The US designed stealthy helicopter-type aircraft. One program was the McDonnell Douglas X-wing. Stealth features of this hybrid craft included using the stalled blades, when in aeroplane mode, as radar reflectors, and using McDonnell Douglas NOTAR (no tail rotor) technology to eliminate tell tale tail rotor radar signature. The X-wing project had an unclassified counterpart, which allowed components of the 'black' X-wing to be obtained under cover. According to one report, a classified stealth helicopter was being tested at the Groom Lake Air Force base as early as 1990. The code name for the helicopter as "T.E.-K," standing for "Test and Evaluation Project K." The F-117 stealth fighter was reportedly known as "T.E.-A," and the B-2 stealth bomber, known as "T.E.-B." The 2/6/95 issue of Aviation Week & Space Technology reported that the Air force had a silent NOTAR helicopter and a stealth helicopter inside Area 51. For the conventional helicopter, there are two fundamental systems that contribute to the generation of near-field and far-field noise, the main rotor and the tail rotor. Each rotor emits unique and recognizable sounds due to its highly individualized operating condition. Engine noise is typically of secondary significance. A helicopter main rotor generates primarily low frequency noise and, in certain operating regimes, high amplitude low-to-mid-frequency noise modulated at the blade passage frequency. The low frequency rotor noise is made up of basic loading noise and broadband turbulence noise, each a function of lift and rotational speed. These sources are present in any lifting rotor. Additional sources, such as Blade Vortex Interaction (BVI) noise and High Speed Impulsive (HSI) noise, become dominant in specific operating regimes, namely in descents and at high forward airspeeds, respectively. BVI noise can be the most significant contributor, because it occurs during a helicopter's approach to the landing area. Operational noise reduction modifications involve the use of known low noise techniques and modifications to flight paths in an attempt to minimize the noise "footprint." Current technology for noise reduction employed in new rotorcraft designs, must ensure that the cost, performance, and other impositions on the design are met in concert with reduced noise. Control of main rotor noise has traditionally been accomplished by the judicious selection of rotor blade configurations and rotational tip speed. Airfoils, blade planforms, and tip shapes are chosen which mitigate the effects of HSI noise and BVI noise. For a given design gross weight, increasing the blade chord and changing the number of rotor blades are means of reaching an acoustically desirable rotational tip speed. The blade number change also alters the frequency distribution of the sound generated. The most direct method of controlling BVI noise is by reducing or diffusing the tip vortex. Tip shapes such as the sub-wing, Ogee tip, and others have been shown to cause measurable reductions in BVI noise by modifying the vortex structure. Conventional means of noise reduction, e.g., tip speed reduction, tip shapes and airfoil tailoring, are inferior to several innovative design concepts: modulated blade spacing and x-force control when used to significantly reduce noise with minimal performance degradation and no vibration increase. Helicopter main rotors have historically been designed with equally spaced blades. This equal spacing from one blade to the next translates to a main rotor acoustic spectrum characterized by a single fundamental blade-passage frequency and its harmonics. As many as 20 or 30 harmonics are commonly present in a main rotor's acoustic spectrum, each of which is a multiple of the fundamental blade-passage frequency. In a typical spectral plot, these frequencies appear as pronounced, ordered "peaks" spread evenly across the acoustic spectrum. Since the acoustic frequencies associated with the rotating blades are directly related to the blade spacing, intuitively the use of unevenly spaced blades holds the potential of lower sound levels and less perceptibility. The acoustic effect of uneven or modulated blade spacing is to generate several blade-passage frequencies, one for each unique angle between blades. Each blade passage frequency, in turn, generates its own set of harmonics. The total acoustic energy is thereby spread over a broader range of frequencies, rather than being concentrated at one blade-passage frequency and a single set of harmonics. Main rotor designs that incorporate modulated blade spacing have reduced peak noise levels in most flight operations. X-force control alters the helicopter's force balance whereby the miss distance between main rotor blades and shed vortices can be controlled. This control provides a high potential to mitigate BVI noise radiation. A main rotor design, incorporating the modulated blade spacing concept, offers significantly reduced noise levels and the potential of a break-through in how a helicopter's sound is perceived and judged. The advantages of the modulated blade spacing concept are many: it has minimal impact on performance and potentially reduces vibration; it reduces sound levels and improves sound quality when incorporated on tail rotors; it lessens perceptibility; and it potentially has aural detection benefits. It is believed that the lower source frequencies associated with a main rotor can be altered similarly to those of a tail rotor. One configuration studied had five blades, a radius of 19.5 feet, a thrust weighted chord of 12 inches, and a rotational tip speed of 665 feet per second. This rotor incorporated modulated blade spacing with angles between blades of 72, 68.5, 79, 65, and 76.5 degrees. If incorporated on the baseline helicopter, the rotor results in a 16 percent payload penalty for the full fuel case. The cruise airspeed would be reduced by 6.2 percent and the maximum airspeed by 17.2 percent. The reduction in peak noise levels is predicted to be 4, 8 and 4 dBA during takeoff, flyover and approach, respectively. The noise reductions up-range (15-20 seconds before overhead) are even greater: 16, 16 and 9 dBA during takeoff, flyover and approach, respectively. In new R&D acquisitions, where the Government was trying to develop a new weapon system, such as a stealth helicopter, and then enter into production but had no previous experience with the program objectives, was a good candidate for a CPFF contract type. This was to share the technical and resulting cost risk with the contractor. This allowed the contractor to concentrate on the job at hand (i.e., to try and prove that the idea could be developed into a working model by solving the technical problems they were facing) versus focusing on how much money they had spent to date under the contract.